Pasquale Young was born and raised in New Haven, Connecticut. He attended St. Rose grammar School and Notre Dame High School and graduated from the U.S. Merchant Marine Academy in Kings Point New York in 1959. He served on active duty as an ensign in the U.S. Navy in 1959-1960. 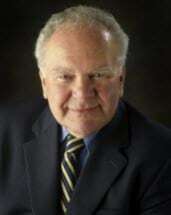 He graduated from Yale Law School in 1963 and entered the practice of law in New Haven. He was admitted to the Connecticut Bar in 1963 and the U.S. District Court in 1969. And the Second Circuit Court of Appeals in the U.S. Supreme Court. He was elected to the North Branford Town Council for six terms and has served as the Deputy Mayor and Mayor of North Branford as well as a member of several charter revision commissions and Board of Assessment Appeals. He served as a member of the Ansonia/Milford Grievance Committee and as an Attorney Trial Referee. He is a partner of the New Haven law firm of Berdon Young & Margolis and is a member of the New Haven County and the Connecticut Bar Associations.